There was no explosion . . . just the roar of 9,000 tons of aircraft ripping a quarter-mile trench through school buildings and the terrified screams of 263 children and 187 adults. . .
Life is hard. And then you find out time doesn’t have any particular meaning. Whatever it was that happened, it happened everywhere on earth at 11:37 p.m., Greenwich Mean Time. But nobody would realize that for at least several days. Even then, the moment they believed was crucial wasn’t quite correct, because all clocks on earth had started slowing down shortly before they reached that specific moment. In California’s Central Valley, the chain-link fence Billy Tyndall had been thinking about all afternoon was more than seven feet high, but it was his only hope today of beating the kids from the Norden Street projects that had been stealing his lunch money and anything else of value he carried when he headed home after class. Still, Billy hoped to avoid any sort of trouble; climbing that fence was dangerous: he had been warned at least a half dozen times that if he got caught doing it, the defense department cops who patrolled the Army Depot it surrounded would send him to juvie at the very least, and his fingerprints would permanently go on file in Washington, D.C.
As it turned out, the decision was taken out of his hands: the Norden Street gangsters spotted him as soon as he came out of the library at Emanuel Sanchez middle school and started moving toward him immediately. Tyndall, 11, had just finished his fifth period homeroom and had no other reason to stay at Sanchez. He felt he had no choice but to give the fence a shot. Billy took a deep breath and then sprinted at top speed across the school yard and past the baseball diamond behind the gym, making the most direct path he could toward the Army Depot. His minuses outweighed his plusses in dealing with the Norden Street boys, though he had been unable to get his parents or any of the teachers or administrators at the school to recognize them: members of the gang were between four and ten years older than he was, and the smallest of them, Clyde Turnbridge, was six inches taller than Billy and outweighed him by twenty five pounds. Perhaps more to the point, the Norden posse showed a great deal less deference toward civil authority: Ray Maxim, the oldest member at 21 years, had two stints in juvenile hall on his record and had served a twelve-month stretch in the California Youth Authority for a near fatal assault on a sixteen-year-old who refused to give him his bus pass; Maxim’s youngest disciple, Kent Freedon, 17, already had done six months in juvie, and had been warned the next time he got picked up for a felony, he would be tried as an adult. The other three members of the group shared arrests for vandalism, possession of drugs, aggravated assault and attempted murder. Their social workers and juvenile hall defense attorneys called them “troubled youths;” the cops and their juvenile probation officers called them “thugs,” and fully expected all of them to reach the mainline in a state prison eventually. Billy didn’t call them anything. He was too busy using every cubic centimeter of air in his lungs to run for the Army Depot fence, his legs pumping frantically as if Satan himself were dogging his footsteps. He may have been smaller, younger and less violent than the Norden posse, but Billy did have one advantage over the housing project gangsters: he was sufficiently quick and agile that his middle school PE teacher had been trying to recruit him to the track and field team, specializing in sprints, long distance running and the high jump. With the worst of the Norden crew thundering along behind him, Billy hit the afterburners and left most of them behind. The one who managed to keep up, unfortunately for Billy, was the gang’s leader, Maxim. Despite smoking two packs of Marlboros a day, Ray was still the fastest member of his crew – how else to explain the fact that he had been the only one who hadn’t been caught by pursuing police officers during six smash-and-grab jobs in the last 15 months? He plunged after Billy with the single-minded dedication of a sinner chasing a ticket that would lodge his immortal soul in heaven, despite his crimes. His frenzied pursuit was spurred in large part by a desperate desire to keep his gang underlings from thinking he was the kind of wuss who could be outdistanced by some skinny, underage middle school kid. When he reached the fence, Billy gave a mighty leap without hesitation, hitting the screen about five feet up the wire and scrambling frantically. Maxim managed to grab the coarse mesh about a foot lower and almost hooked Billy’s ankle with his hand as the eleven–year-old dragged himself over the single strand of barbed wire at the top, springing away and looking the gang leader in the eyes for a split second before pivoting and racing on. Maxim dragged himself over, tearing the front of his T shirt on the barbed wire as he cleared the top and sprang to the ground behind, spots of red appearing on his pasty chest. He took only a second to catch his wind and then plunged after Tyndell, licking a blob of blood from the back of his hand and more determined than ever to catch the middle-school student and make him pay for his defiance. For his part, Billy had injured his leg when he jumped off the fence and it was starting to throb with deep pain as he ran on, his steps faltering due to his injury. He wasn’t sure how much farther he could go with his rapidly swelling ankle, and he glanced around in desperation, hoping to spot a jeep driven by two of the navy-blue uniformed civilian guards who patrolled the depot. Better to fall into the hands of the security force than those of the Norden gang, he thought breathlessly as he staggered forward, his ability to flee fading with every painful step. None appeared, however, and Maxim, himself quite winded, caught up to Tyndall in less than a minute. The bigger youth slammed into his prey’s back, knocking him to the ground. 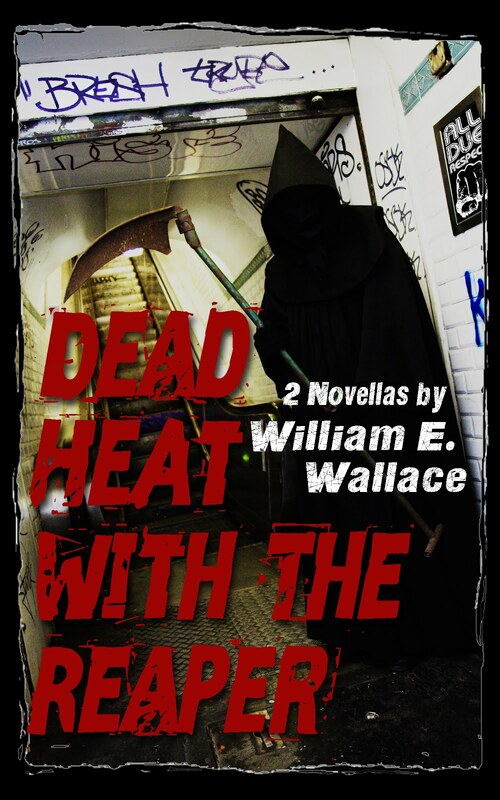 Billy, gasping for air, rolled over as Maxim pulled a Buck knife off his belt and flicked the blade open with his thumb. Just as Billy lost control of his bowels and filled his trousers with watery feces, Maxim stopped in mid-threat, staring up at the sky with his mouth hanging open. The knife, its blade catching the rays of the sun and sending a glint of light into Billy’s eyes, fell from Maxim’s now limp hand as he continued to stare, his jaw beginning to tremble uncontrollably. Billy rolled to his side and looked up. There in the sky, seemingly hanging directly above the Army Depot, was a massive commercial airliner. It made no sound whatsoever – Billy couldn’t even hear the rush of air over its fuselage. The plane seemed to be only a few hundred feet above the ground, so close that it looked like Billy could reach out and touch it with his hand. Yet it moved forward with surprising speed. The silent aircraft’s descending arc made it appear it would hit the ground someplace close to Emanuel Sanchez. And less than a minute later, that is exactly where it came to earth without throwing a single spark, a tendril of smoke or a flicker of flame: dead center in the middle school’s cluster of buildings. There was no explosion as the plane plowed into the school yard teeming with students who had just finished class; just the mechanical roar of 9,000 tons of aircraft ripping a quarter-mile trench through school buildings, playground equipment and dozens of cars in the faculty parking lot. 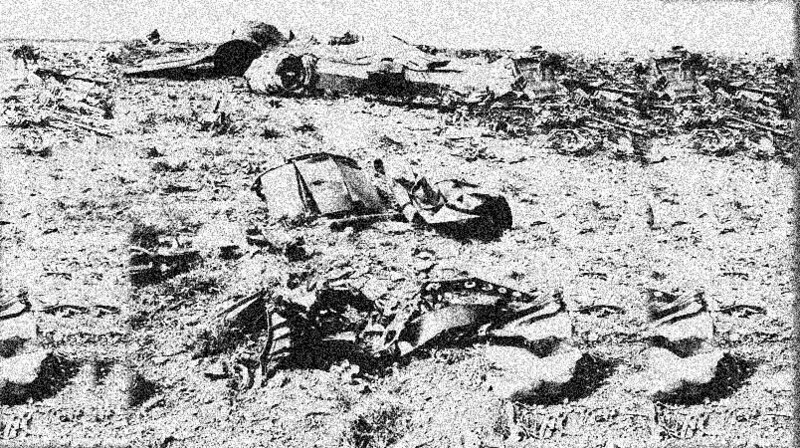 The deafening noise of the impact was not the only sound, however: for the rest of his life, Billy Tyndell would remember the terrified screams of 263 children and 187 adults as the aircraft mangled them beyond recognition.